Take off for an active holiday! Yelloh! 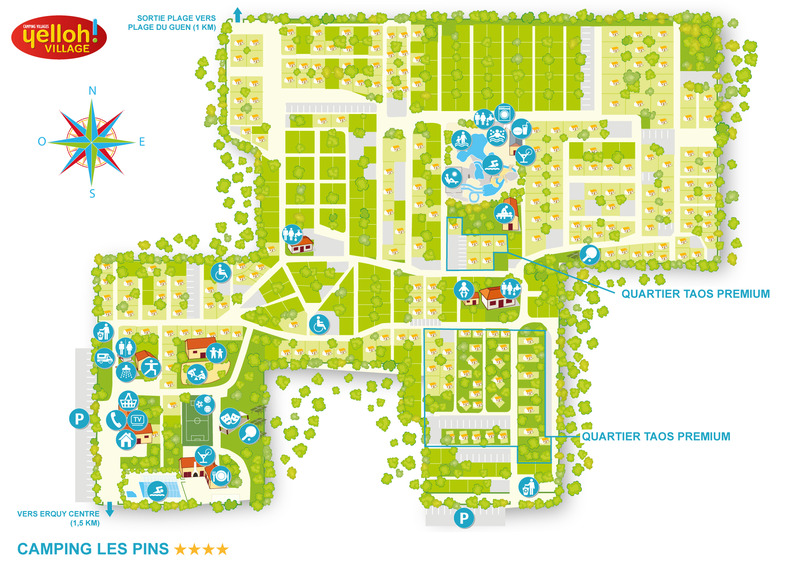 Village les Pins knows that it is not always easy to camp with your family. We offer Kids' Clubs for children ages 5 to 12 with fun workshops and group sports... There are many water sports schools located near the campsite for your teens where they can try kayaking, windsurfing, diving and catamaran sailing. All activities are supervised by multilingual professionals. Discover all of the activities the Kids Club entertainment staff have organised for your children. With the Juniors Club, children won’t have time to get bored! They can enjoy a wide range of activities and events. Your children won't be bored! The camping Les Pins has thought of everything and offers numerous facilities for your children such as the large aquatic area, the pétanque pitch, ping-pong tables, and foosball. There is a games area, a football pitch as well as a tennis court in the centre of the village. Finally, the fun swimming pool with its paddling pool will keep your children busy during long, fun-filled afternoons! Spend an unforgettable family camping holiday.